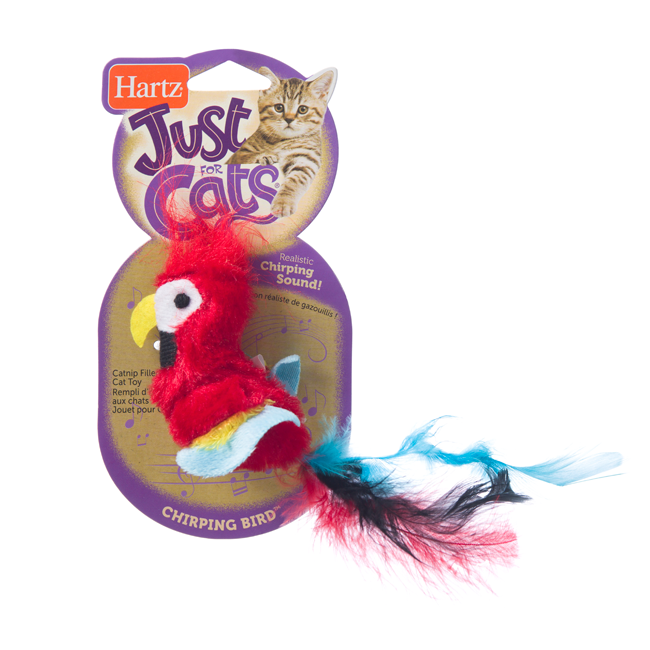 With the Hartz Just For Cats Chirping Bird, feathers will be flying as your playful kitty indulges their natural instincts to hunt. 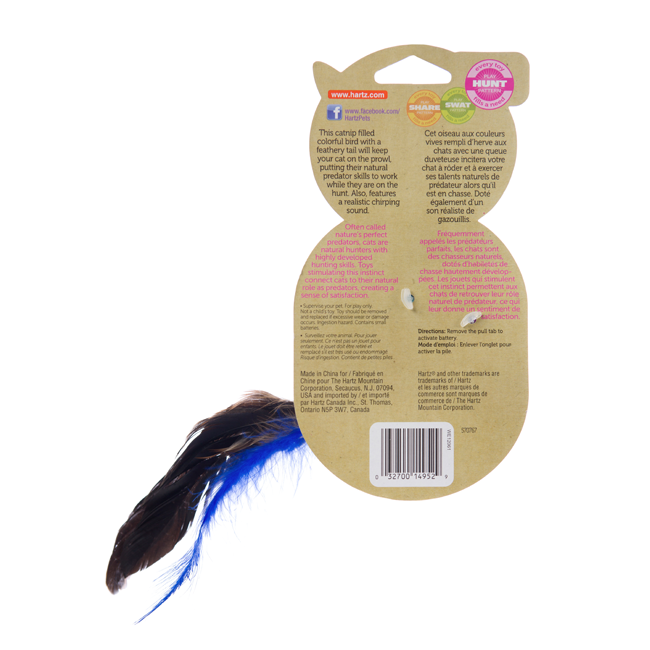 This realistic bird brings the wild inside with lifelike features and coloring. 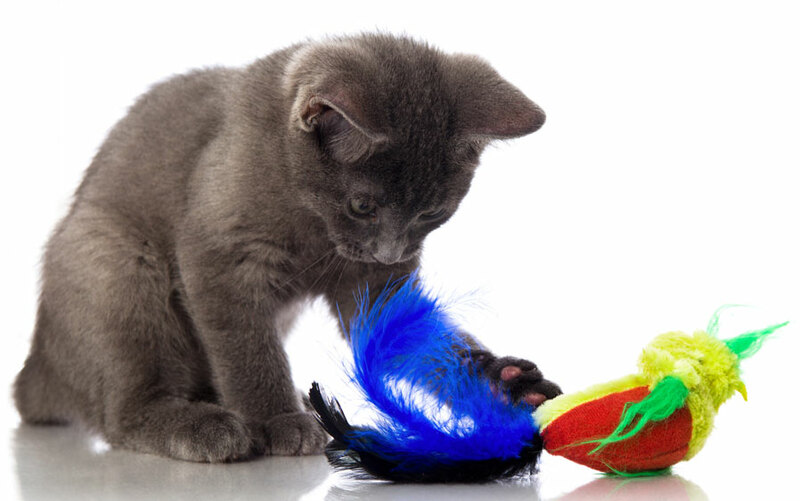 Your cat’s new feathered friend boasts motion-activated sounds, chip chirping on demand when batted or swatted. 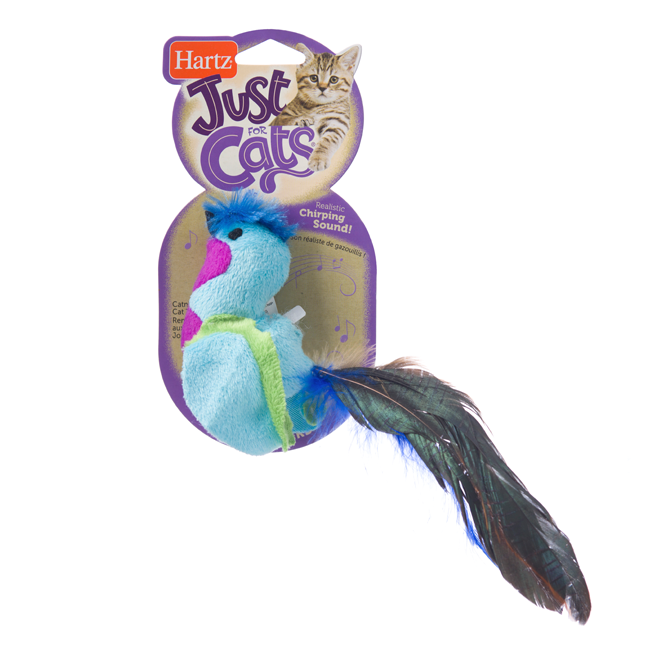 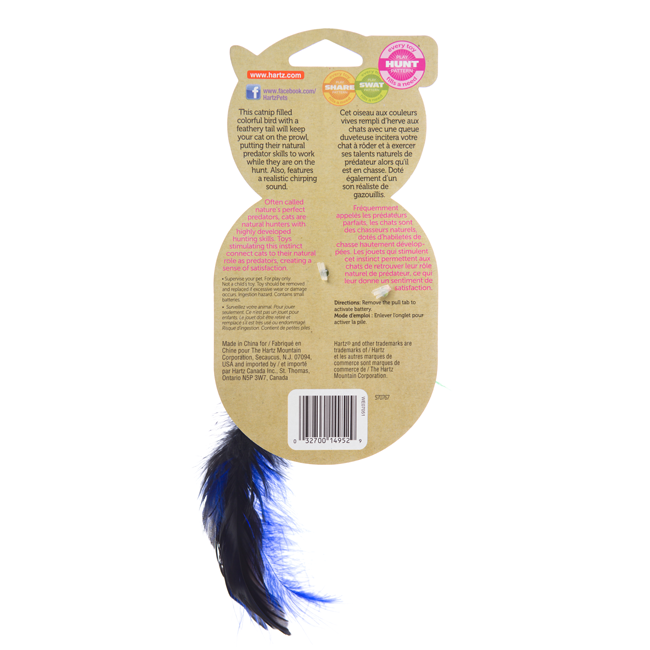 Stuffed with premium catnip and donning a plume of fluttery feathers, this toy provides plenty of activity and exercise, plus special bonding time with your kitty companion. 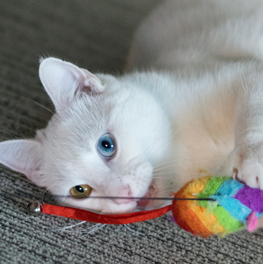 Other than sleeping and eating, play is a major part of a cat's life. 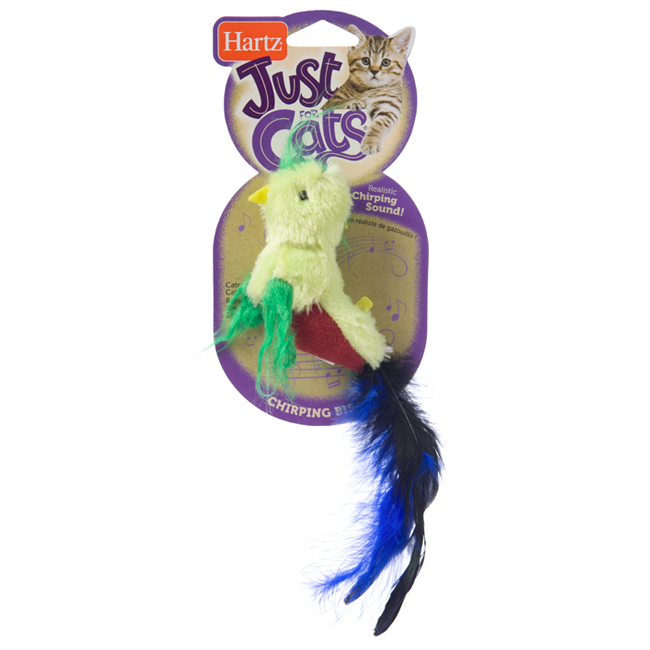 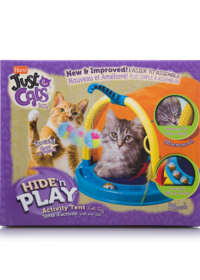 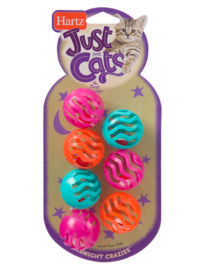 Between hiding, chomping, or just getting bored with them, your cat can never have enough toys. 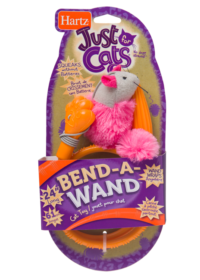 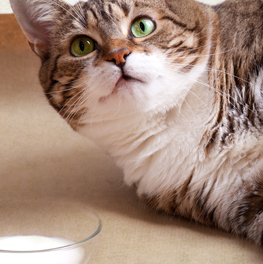 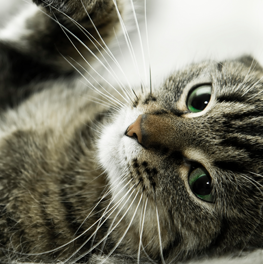 With patience and practice, you can train your cat to become a world-class performer.